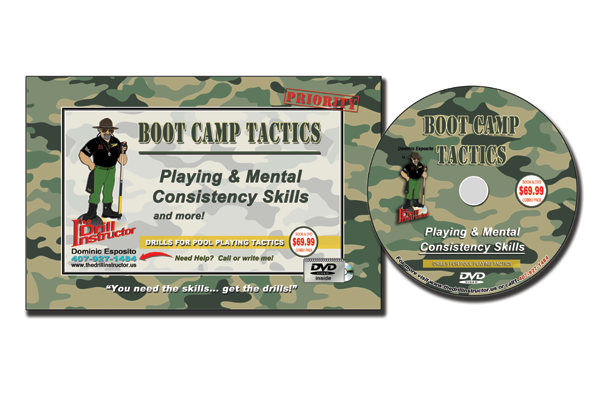 Boot Camp Tactics takes you to the ultimate training level with practice drills essential to every pool player. 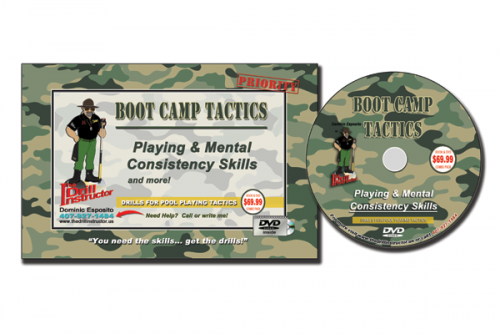 Boot Camp Tactic drills contain the complete warm-up system The Drill Instructor uses and teaches for maintaining playing and mental consistency in competition to keep the winning edge right through the finals. At this level, the Book and DVD are explicit and second to none, containing the advanced level of coaching and direction you'd expect form The Drill Instructor.